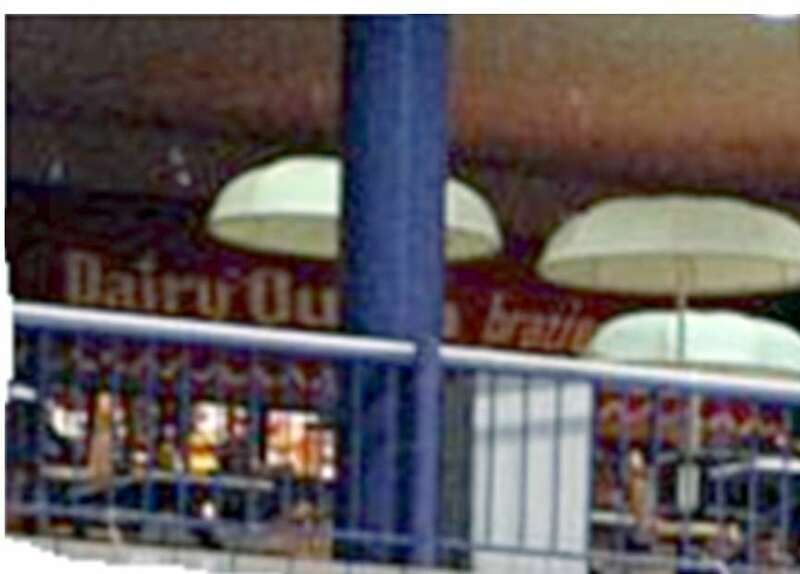 In this photo, you can see the malls very own DQ as it existed on March 9. 1984. How old were you then? The mall was just about 3 years old when this was taken (this was cropped from another phtograph obviously and was not the subhect of the photo. The umbreallas were an early fixture of the mall and added to the perception that you were on a main sreet somewhere instead of inside a huge shopping complex. I don't remember the unbreallas being there in later years, so they may have been a casuality of one of the nenovations. The Dairy Queen anchored one end of the food court. A Local Celeb? Ashley Boggs? In the blog article below, Former DQ worker and daughter of Memphis restaurant owner success story Thomas Boggs, of Hueys - Ashley Boggs is referenced. If you don'y know either Ashley or Hueys, you are new to Memphis. I have contacted Ashley and she is looking to see if she has a photo or two and some memories of the DQ to share. She did remember than both her and her sister Lauren worked at the Dairy Queen from 16 until their Junior year of high schhol. Then they were old enough to work in Hueys (because of alcohow laws) and both moved as the money was far better as you can imagine. Stay tuned for more from Ashley - and if you have pics - mallofmemphis at gmail dot com. Thanks! "So i ended up just a loner. in 5th and six grade there was a girl named Ashley Boggs who i guess i had something of a crush on, used to call her centipede. I almost continued to go to school with her, but i switched to a private school. I know someone called me wondering where i was, and it might have been her. i almost forgot about her like all the others from then (except donald crisp). Anyway, I was at Dairy Queen in the Mall of Memphis, she was working there and i remembered the name on her tag. I didn't say anything, of course, that's just me. And then later, i find out she's working out at a bar called Huey's east, a manager actually, and her dad owns the place. The place is close to me so i went there a lot. I was sitting there once when she was there, and i was trying to think of something to say, but i couldn't see any reason to talk to her. It was strange, i would sit there thinking i should say something but having nothing to say."